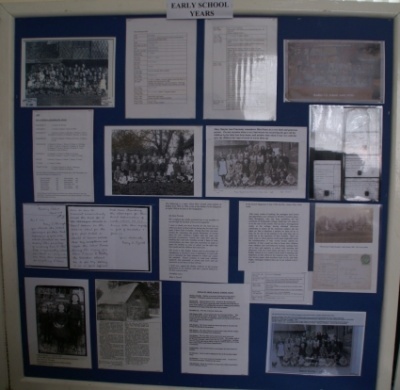 Reunions and memories were the order of the day for many of the several hundred visitors who came to Radley History Club’s exhibition on 12/13 July on the history of Radley Church of England Primary School. The School has been part of the village of Radley for over 150 years and its history is typical of that of many rural schools in the area. 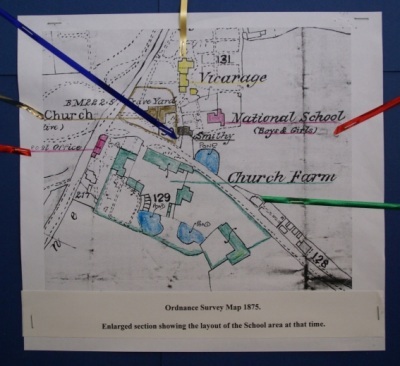 Held in the original School Building (first built in 1872 and extended in 1892), the exhibition used maps, photos, copies of old documents, press cuttings and extracts from the school’s log books to move through the ages from the school’s development in the 19th century, the early years of the 20th century, the 1940s/1950s, and 1960s onwards to the present day. The pupils of today featured in a film made as part of the History Club’s two-year project with Radley Primary School called ‘ Radley Primary School – Then and Now’. 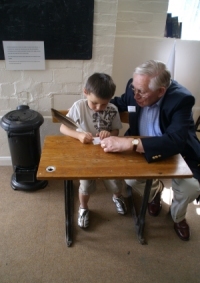 Visitors to the exhibition could experience a Victorian classroom complete with lamp, stove, maps and cane; children and adults could sit in an old school desk and try writing with an old-fashioned dip pen and ink well. Or ring the old school bell. 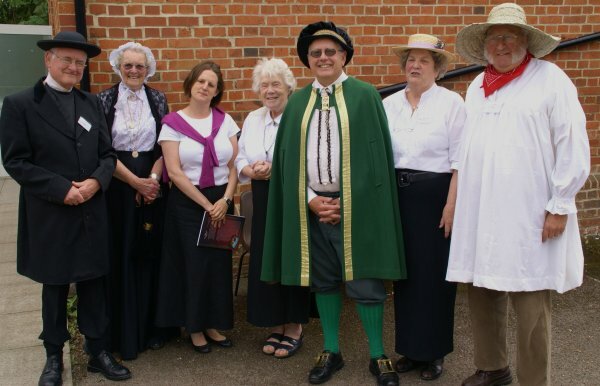 Club members set the scene by dressing up in Victorian costume to greet visitors. The exhibition was opened by the current head teacher, Frances Lockwood, who was presented with a copy of the book for the school by Tony Rogerson in his guise as the Rev. John Ratcliffe – vicar of Radley at the time the school began. 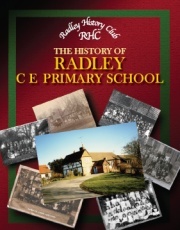 The exhibition saw the launch of a new book by Club chairman, Christine Wootton, on the history of Radley CE Primary School. The book describes how the school buildings changed over the years but concentrates on the people who worked and studied at Radley Primary School between 1851 and 2007. One visitor to the exhibition, Gerald Jeacock, was thrilled to find the book recorded his achievement in 1935 of winning the Bishop’s prize. Copies of the book, price £9 plus p/p, are available from Christine Wootton on 01235 202725; (email: d.wootton1@ntlworld.com). For more information about Radley History Club, contact Christine or visit the Club website.